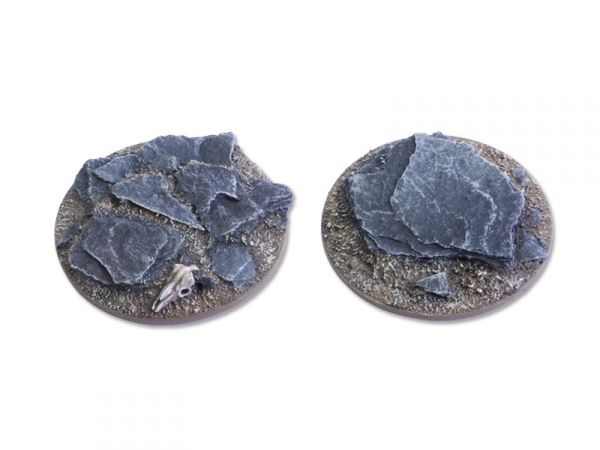 Now available - Bases with flat edge. 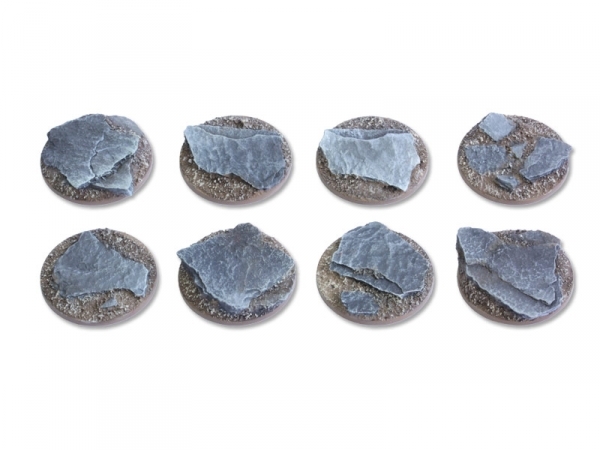 Viking Raid 25mm (8x random bases), Viking Raid 40mm (2x Bases), Shaleground 25mm (8x random bases) and Shaleground 40mm (2x Bases). 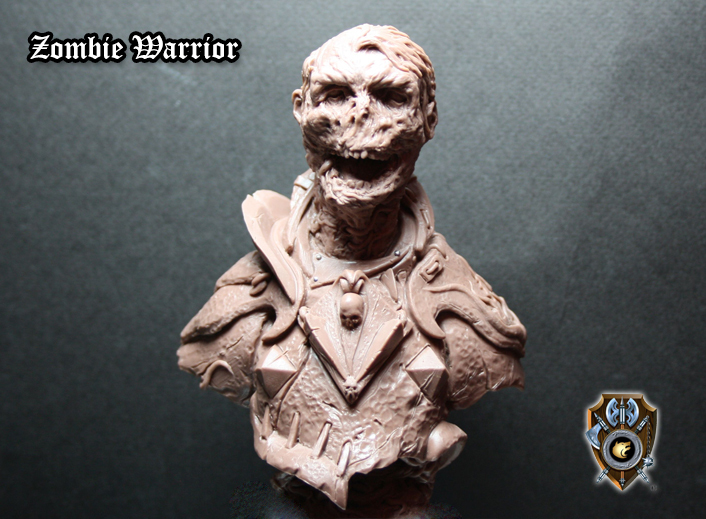 More busts are being added to the project "Monuments of Glory-2" financed by Shieldwolf Miniatures. 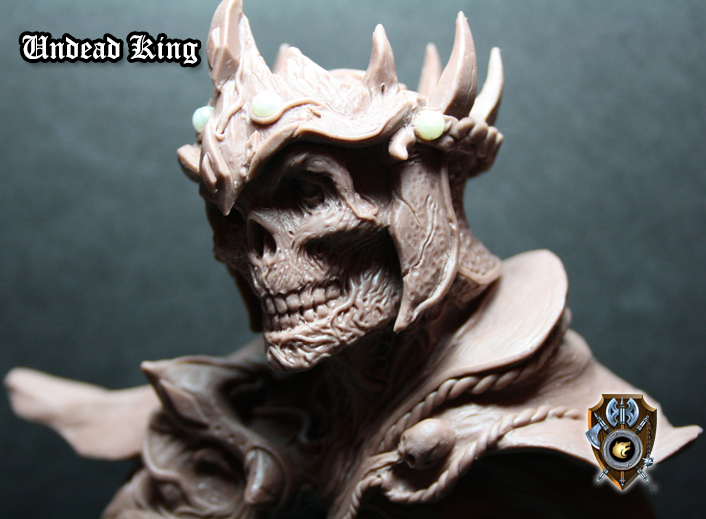 This time the Undead get some love with the Undead King and Zombie Warrior busts. Raging Heroes just released new previews from their latest Kickstarter TGG2: Darkness and Light, introducing the Davidians, a SciFi Sisters Army much awaited by many backers. These models are now moving into production. 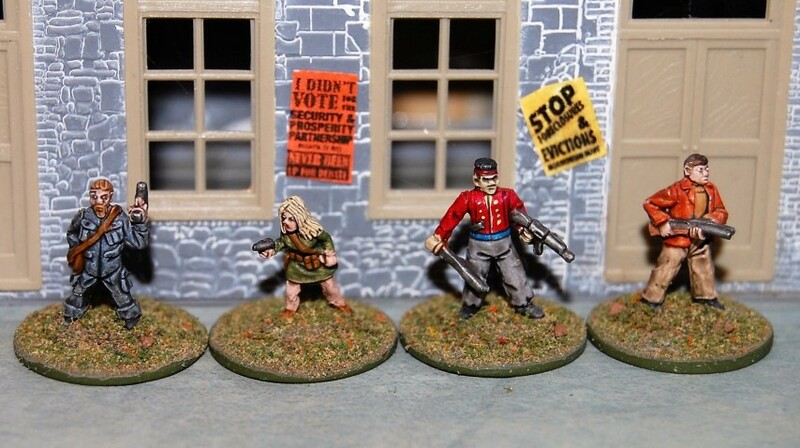 These miniatures can be used as heroic 28 mm proxies in most tabletop wargames. 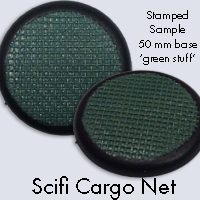 Happy Seppuku Model Works is pleased to announce the presale of three new texture stamps: Scifi Cargo Net, Wood Roof, and Dried River. 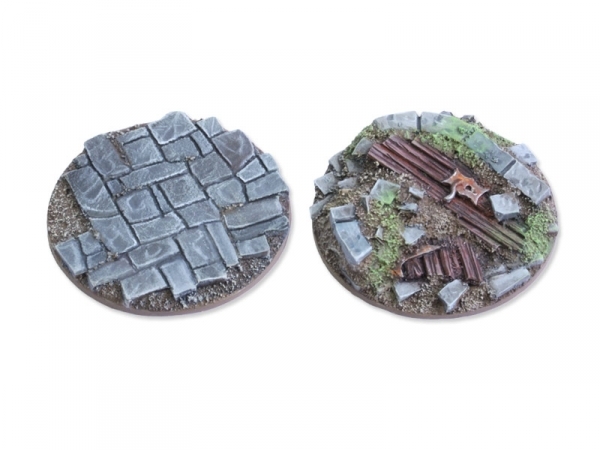 In addition our Fishscale Brick texture is on presale in a 6”x6” version. The 3”x3” textures are available for presale prices of $4.50 and the 6”x6” for $10. All of these will be released on 6/20/16 when they will go back to their normal MSRP of $5 and $12. 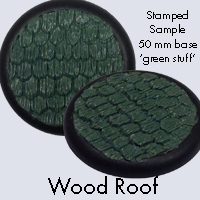 Happy Seppuku Base Texture Stamps are made in the USA from synthetic rubber similar to ink stamp and tire rubber. The size refers to the actual texture area. 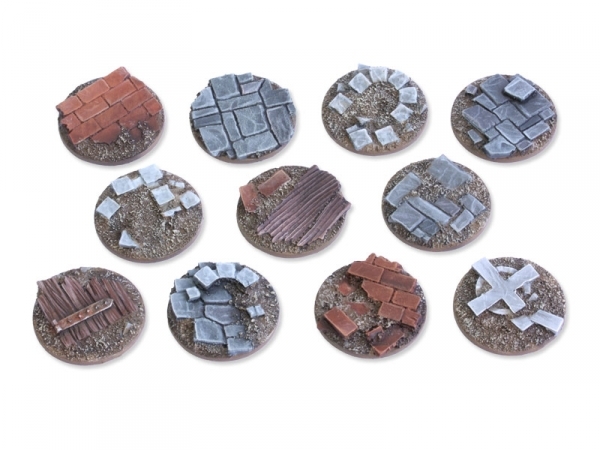 They are perfect for making themed artistic bases that only look like you spent a lot of time or money on your project. Simply add some putty to your base, press the stamp to add the texture, and let it cure. 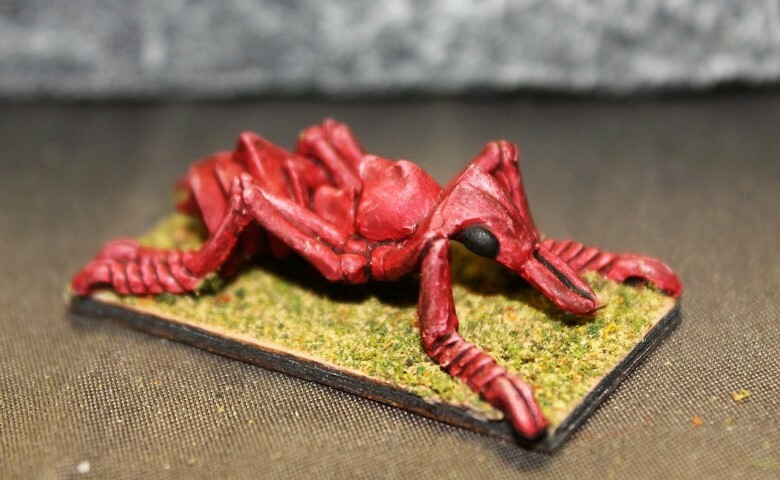 and Even a Giant Ant! These are perfect for modern or near future gaming! The first Kickstarter to launch Barbaric Splendor Miniatures is now underway! 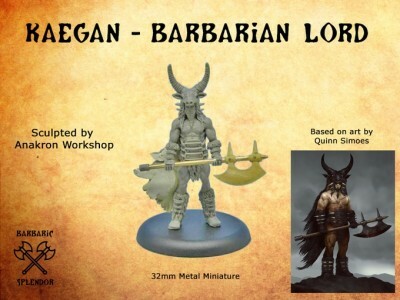 Barbaric Splendor Kickstarter One: Personalities offers barbarian individuals for your wargame, skirmish game, RPG, or simply to paint and collect. This first Kickstarter is meant to launch a line that will cover the common themes of barbaric/heroic fantasy, with hopefully much more to come to flesh out the primeval world of Barbaric Splendor! We will begin with the six basic miniatures and one free miniature that will be available if we fund to those who pledge for 3 or more members of the barbarian horde; stretch goals will be shown as the campaign progresses. 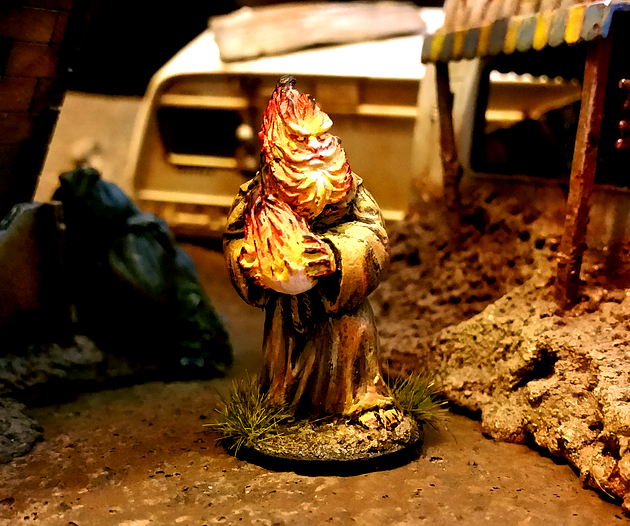 Emerging from the mountains, these robed mutant zealots wander the wastes spreading their wares and creed with anyone that would take them. Though they supposedly come in peace, their fealty to ancient Cyclopean gods often grants them a wide birth from weary wastelanders. Well, that and their non-stop, mind-numbing ministry. 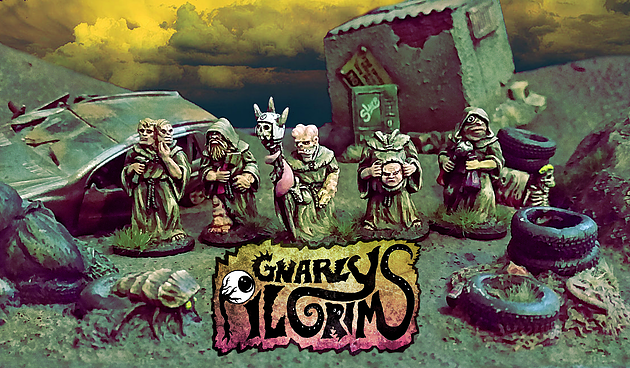 The much anticipated Gnarly pilgrims posse pack and boosters have finally arrived! Not only that, but the existing sets have been re master for better casts! 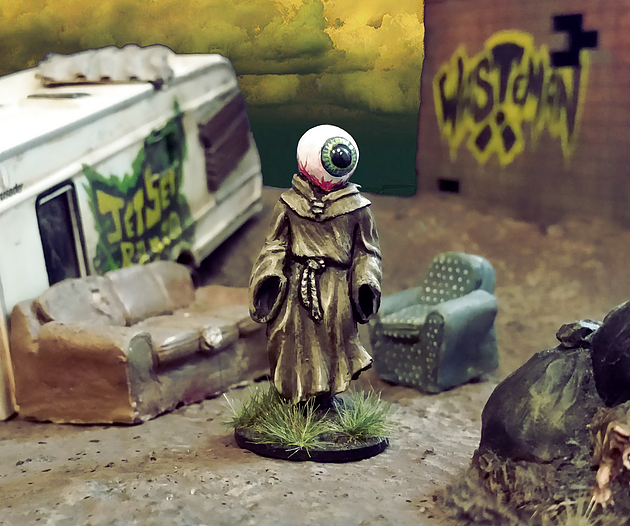 All now contain the new design Gnarly pilgrim stat cards too, perfect for use in your games of Wasteman!